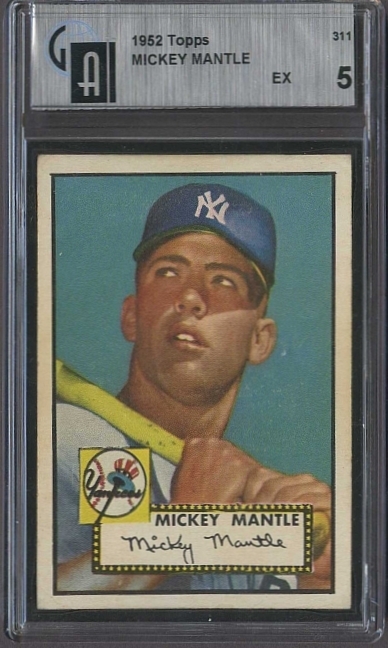 We don't get to see one of the most popular baseball cards in the hobby very often, so when we do, its pretty exciting. We just got two 1952 Topps #311 Mickey Mantle baseball cards in today. One grades a SGC 30 Good (2), while the other is a GAI 5 EX. Both of these cards are particularly nice because all of the flaws affect the white border. There are no creases that go across the Mick's face or interfere with the card's natural beauty. 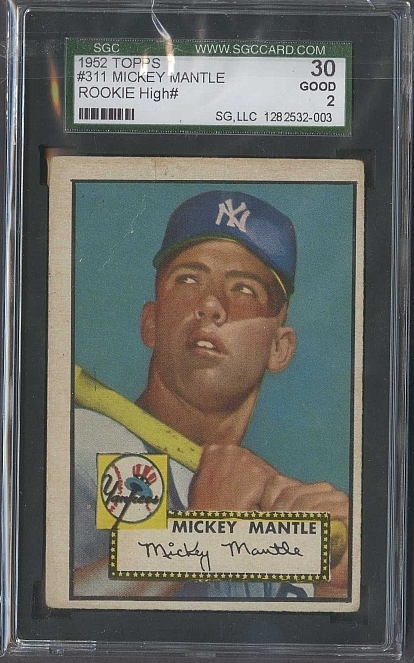 It's always fun to tell people that yes, we do have the '52 Topps Mantle in stock and we hope they stick around for a little while.